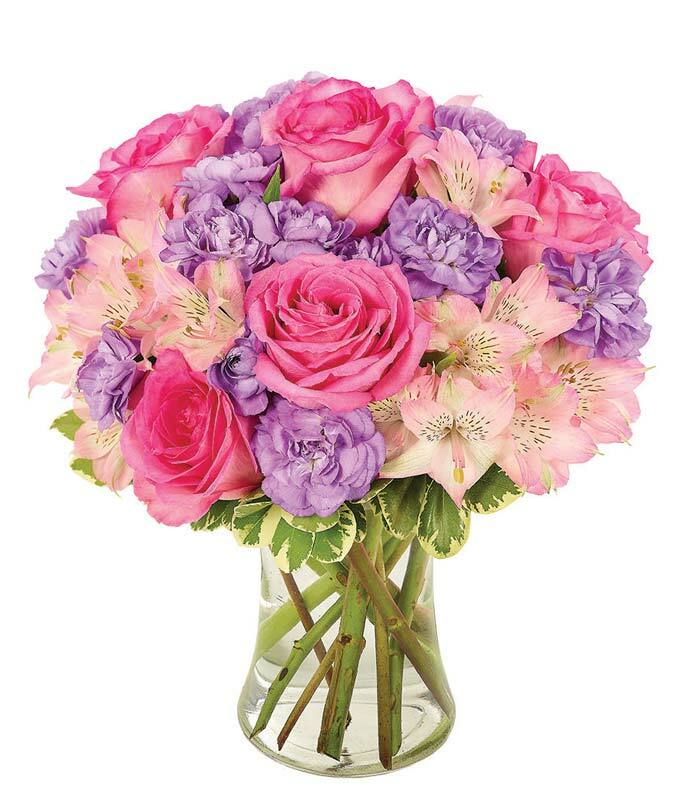 Celebrate a special lady in your life with this Pink Champagne Bouquet full of pink and purple florals. She'll be celebrating for days and this arrangement brightens up her room, home or office. Arrangement Height 11", Length 9"